That would be “Cold” for those of curiosity, although lest we not confuse this Khold with the nu-metal pansies under the actual “Cold” banner. Talk about from the “Where are the now?” file… At any rate, Khold are part of the third wave of Norwegian black metal; part of the flood of bands that came after Emperor, Immortal, Satyricon, etc., having released their Masterpiss of Pain debut in 2001 on Satyr Wongraven’s Moonfog Productions. 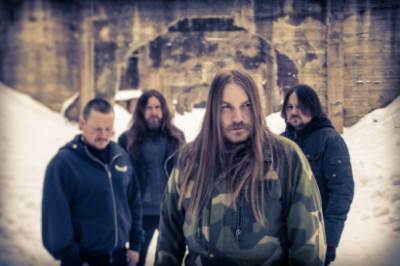 The band was off to the races from there, releasing four albums of tried-and-true Norwegian BM in the span of five years at the start of the 00’s. But after the release of 2008’s Hundre ar Gammal, Khold went into a period of self-imposed hibernation. 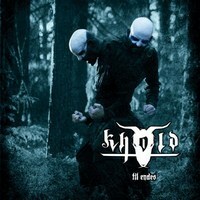 However, the black metal scene does a proper of job of not forgetting about its bands, as evidenced by the swell of interest in Khold’s first album in six years, Til Endes, their first for the legendary Peaceville Records. Dead Rhetoric: Surely this is a common question at the present time, but why the six-year wait between albums? Was there a chance Khold wouldn’t be coming back? Sarke: Of course the chance was there, but we come back with the best Khold album so far. I felt that Gard (vocals/guitars) was not so motivated. He used his time well and spent time with his kids and himself. It was also important that we got a good management. Now Khold can work more professional. Hopefully it will not take six years for a new Khold album. Dead Rhetoric: Has the activity of Sarke at all taken away from Khold? Sarke: I will say no. Because I started Sarke when Khold had a break. And I make songs all the time, so I can’t have a six-year break. Dead Rhetoric: During the last six years, have you paid much attention to what’s going on within the black metal scene? Sarke: We don’t follow the scene at all I will say. I am the member that follows the scene the most and that is not much. I use to keep track from 1989-1993 or something but after that I haven’t paid much attention. Khold is known for being a bit on the outside of the scene. Dead Rhetoric: The band was awfully productive throughout the early part of the ’00s, releasing an album almost every year. Back then, how easy was it to put songs together and record them? I’m guessing life is much different now for you guys, right? Sarke: I am not sure why it got slower. We can make enough songs. It just happened naturally, I guess. We have also had a lot of different record companies. That is also a factor. Of course, things happened in life also with four members in a band. Kids and so on. Dead Rhetoric: As for Til Endes, it’s a tremendous return, having all the great elements of Phantom and even Masterpiss. What was the approach with the songwriting? Sarke: We wanted a more powerful and aggressive album. At the same time, keep what Khold are known for. The dark heavy parts. I think we have done a good job. We also wanted the songs [to] work as good live as on the album. So we rehearsed the tracks with that in mind. We have found our own style of music within the black metal scene. Sarke: Of course we are happy to get a deal with Peaceville. Actually, I was in a band that talked to an under-label of Peaceville back in 1991 or something. Peaceville has re-released our first three albums and it was natural for us to go to Peaceville. Dead Rhetoric: What made you want to record at Studio Fredman? The studio is known for having a clean sound, but Til Endes still has a raw, natural sound. Was that a stipulation upon recording there? Sarke: We wanted a professional studio where we can work fast and without any problems. We know how we want our sound to be. We also produce our own albums. I know we would get the Khold sound even if we went to Studio Fredman. It was great recording there and a big thanks to them. A big thing is also that almost every band uses trigger on the drums. Edit the drums. Copying riffs and so on. Khold never do that. We record acoustic drums. Play live with spontaneous playing. We want it to sound like a Khold rehearsal with a great sound. Dead Rhetoric: You’ve played a handful of European festivals this summer. How did the new material fare? Sarke: The new songs was great to play live. They worked out very well. Killer! We have booked some more gigs and festivals, so it will be more to come and more new songs live. Dead Rhetoric: Your music is suited quite well for the live arena. Is playing live something the band would like to do more of? Sarke: Yes, we use to play a lot of gigs several years ago, but been less and less. Now we are playing more and more again. So, yes. Dead Rhetoric: I remember when the band came out in 2000 with Masterpiss of Pain on Moonfog. What do you remember most about those days? Sarke: It was a special thing to get a deal with Moonfog. They just sign a few selected bands. We had a good time. A lot of activity. What I remember best is maybe, lot of gigs, photo shoots and girls. Dead Rhetoric: Do you keep in touch with Satyr? 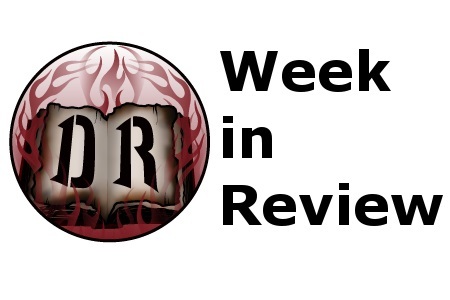 Dead Rhetoric: Finally, what’s on the agenda for the rest of 2014? Sarke: Promotion for Til Endes.